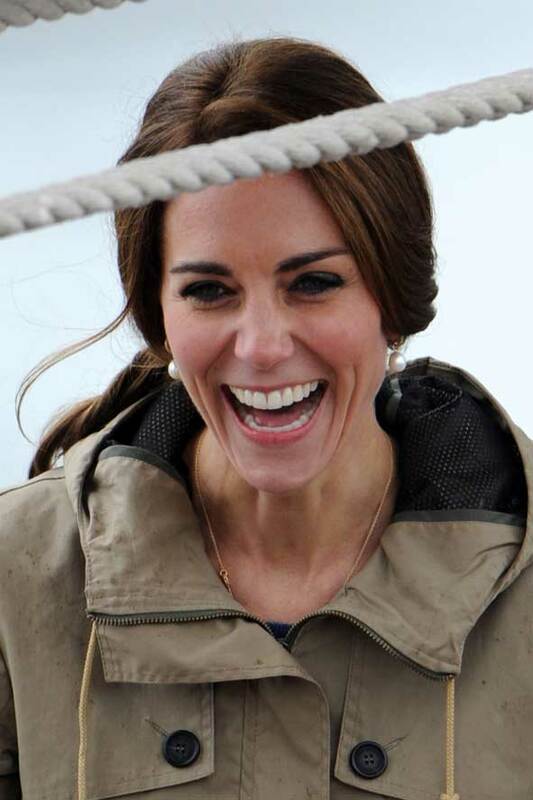 Kate Middleton became “Captain Kate” as she took the wheel to steer the ship called ‘The Pacific Grace’ in Victoria, Canada. 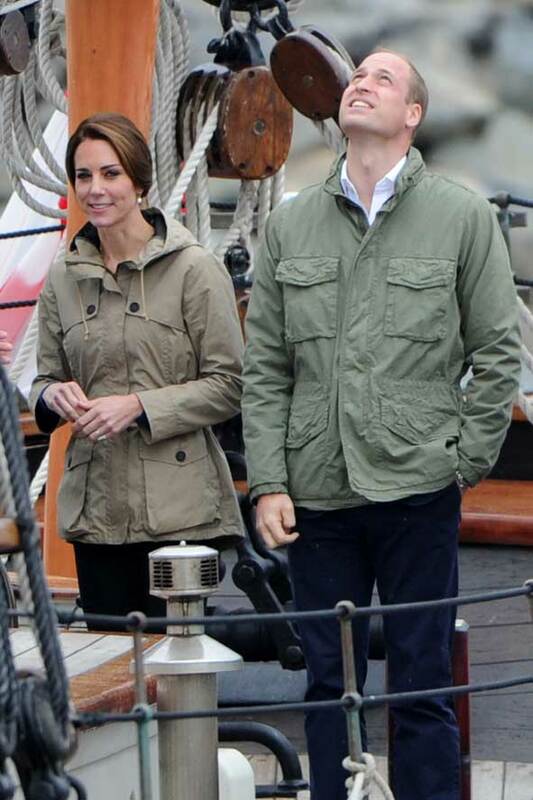 But the Duchess accidentally caught one of the handles of the wooden wheel under her Troy London Wax Parka Jacket! But Kate soon recovered with one of her crewmates giving her the thumbs up. 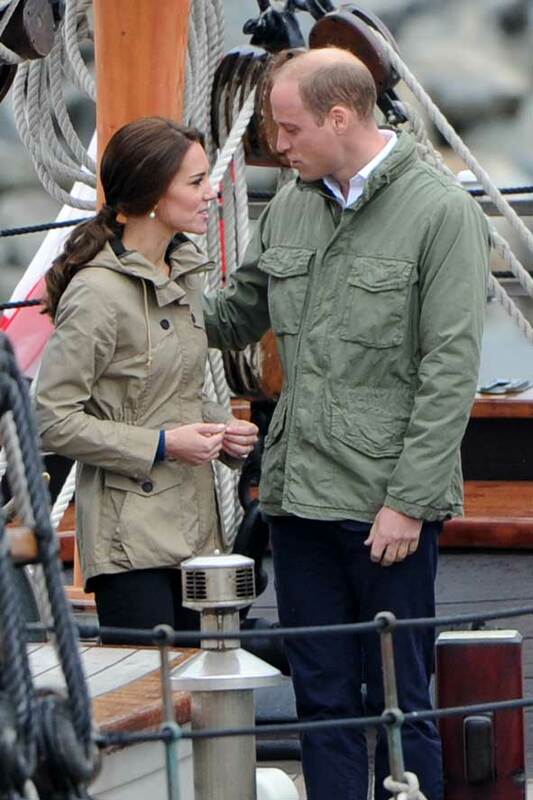 Kate Middleton and Prince William also shared a rare moment alone on their last day in Canada as they stood at the back of The Pacific Grace Ship and gazed at each other. 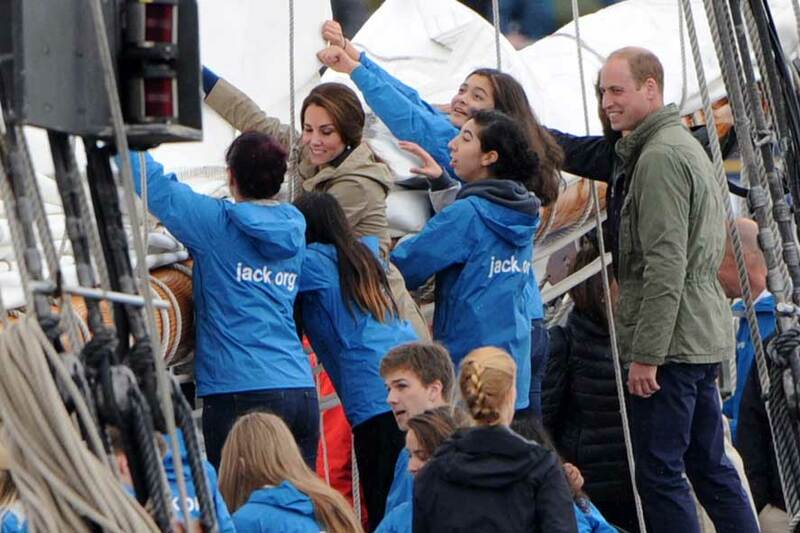 Will and Kate then got to work helping to raise the sail with dozens of young helpers before Kate took up the Helm and steered the boat in Victoria Harbor. 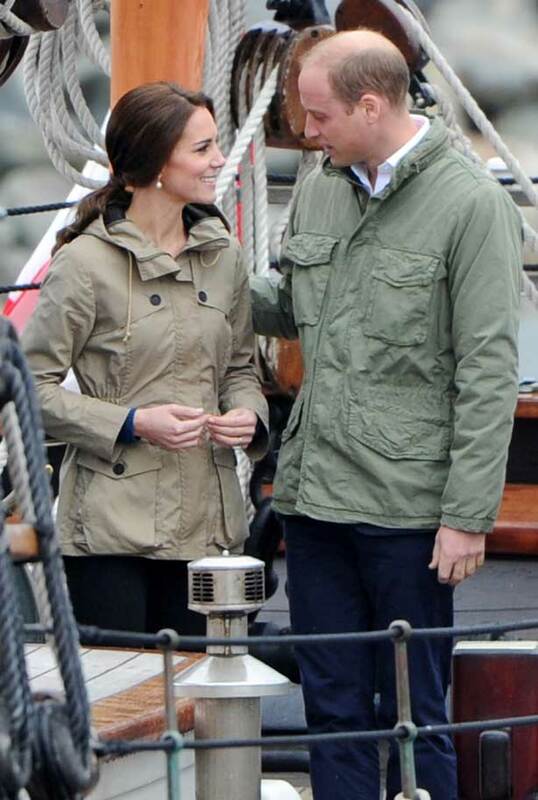 The Duchess fashioned the Troy London Wax Parka jacket, which retails at £350.00 with black Zara skinny jeans. 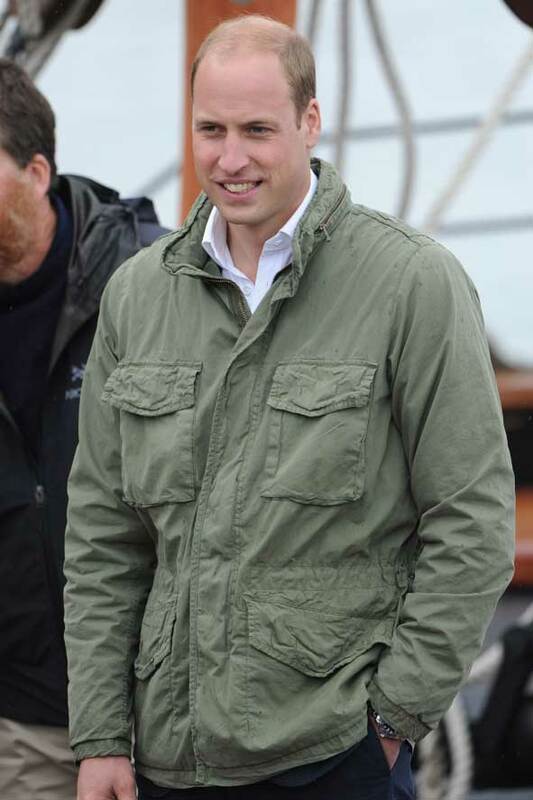 There were plenty of smiles on board the ship with Prince William waving to fans. Kate paired her green jacket with black Zara skinny jeans and had her hair tied back in a ponytail. 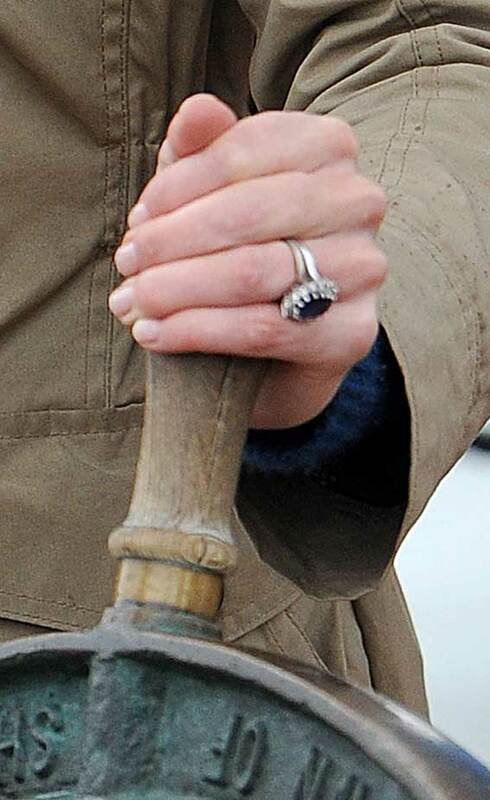 Kate also showed off her diamond and sapphire engagement ring which once belonged to Princess Diana. 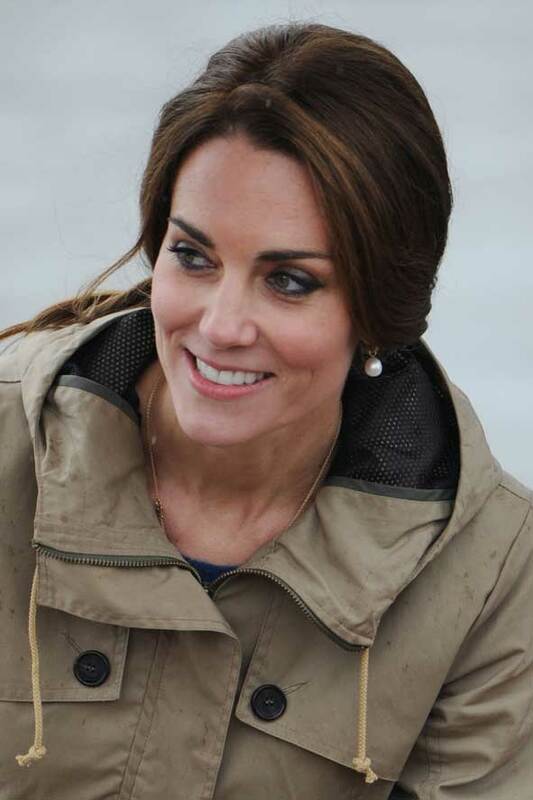 Kate Middleton Trivia: Kate Middleton is the first wife of a British monarch who is a university graduate. She graduated from the University of St Andrews in Scotland with a 2:1 in History of Art in 2005.